In order to give our customers' the absolute lowest price for Sikkens Log & Siding online, our Minimum order to receive this great pricing and FREE SHIPPING is by purchasing 10 buckets (50 gallons). If you only need a 5 gallon bucket, we do not sell in less than 50 gallon lots, you may consider one of our other available products. Sikkens ProLuxe Cetol Log & Siding is a high-performance translucent satin finish for exterior vertical wood surfaces. This alkyd high solids formulation offers optimum protection and a premium look in just two coats. 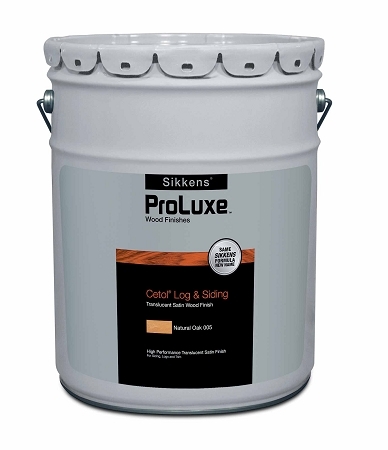 The high solids alkyd resin used in Cetol Log & Siding is another example of Sikkens' commitment to providing superior quality wood coatings.